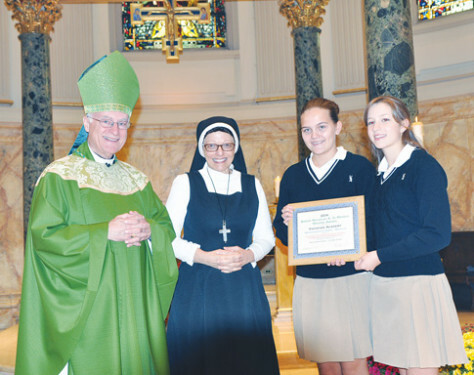 St. Bernadette’s School, Dyker Heights, was honored as the school that donated the most money to the worldwide missions in 2014. 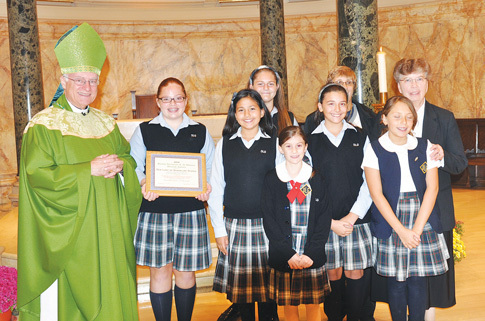 St. Sebastian’s School, Woodside, was the leading donor in Queens. 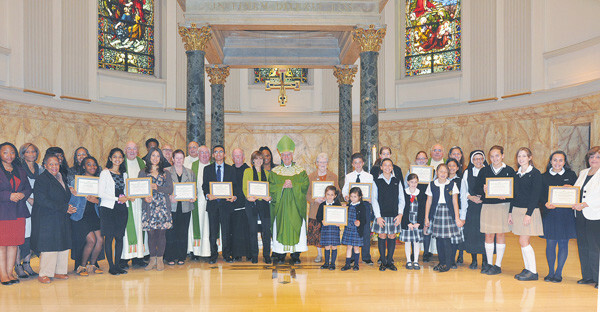 The two schools were among those honored on Mission Sunday at a Mass celebrated by Auxiliary Bishop Raymond Chappetto at St. James Cathedral-Basilica, Downtown Brooklyn, on Sunday, Oct. 18. 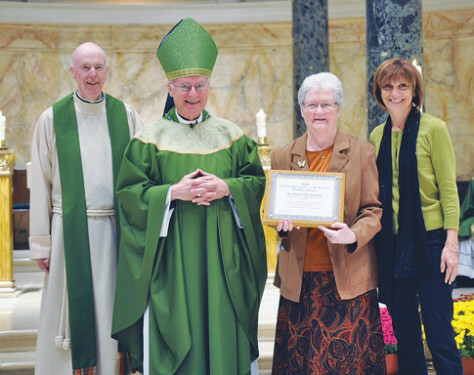 The presentations were sponsored by the diocesan Propagation of the Faith Office. 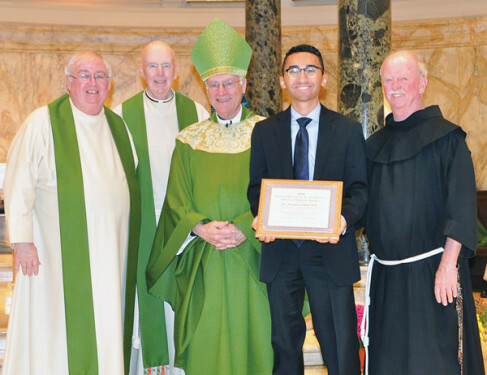 Assisting at the ceremony was Msgr. Joseph Nagle, director of the propagation. 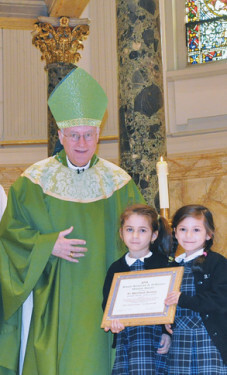 The winners were announced by Deacon Louis Panico, associate director. Special awards were presented to the Newman Club of L.I.U. for raising $25,000 to assist the Sisters of St. Gemma Galgani who conduct schools and orphanages in Arusha, Tanzania; and St. Francis Prep, Fresh Meadows, for donating $14,200 to St. Francis Secondary School in Lare, Kenya, and Budhanilkantha School, Nepal. 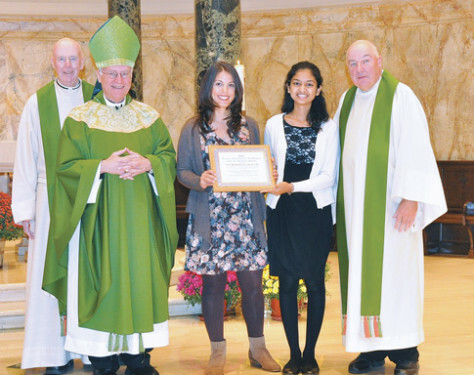 Also honored were the Gatekeepers from Christ the King parish, Springfield Gardens, who raised funds for and personally delivered them to assist in the care of children at the Mustard Seed Community in Nicaragua. 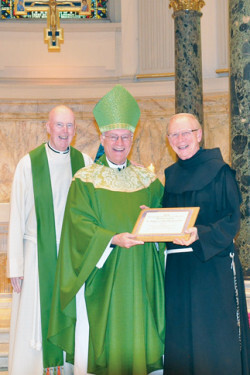 Brother Jeremy Sztabnik, O.S.F., was presented the “Well Done” Award for 17 years of service to the Propagation Office.